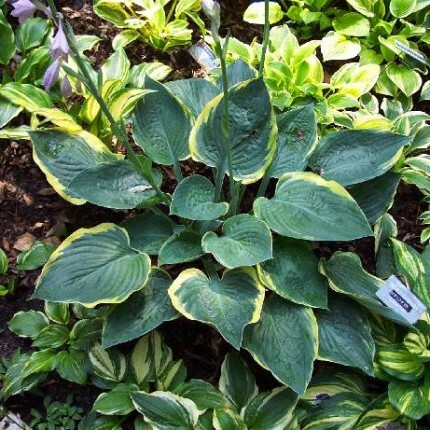 Medium: 14″ high x 32″ wide semi-upright mound of foliage that is blue-green in the center with a 3/4 wide chartreuse to yellow margin; leaves 9 1/2″ long by 6 1/2″ wide (12 vp); leaf blade shape ovate with a flattish base and wavy margin; leaves also slightly corrugated; good substance. 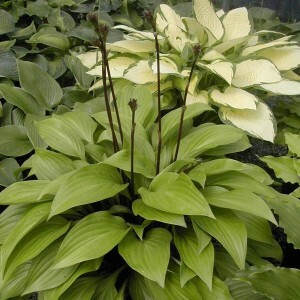 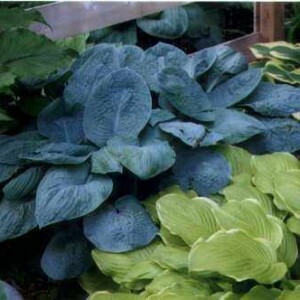 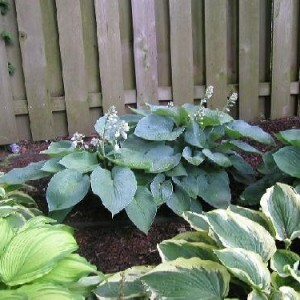 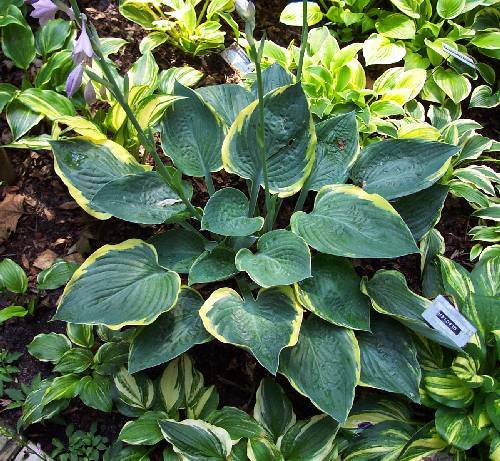 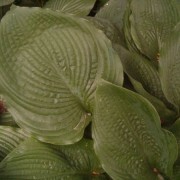 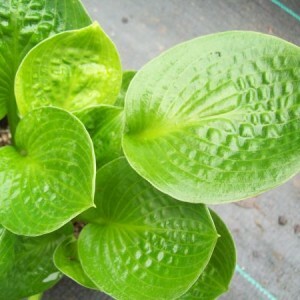 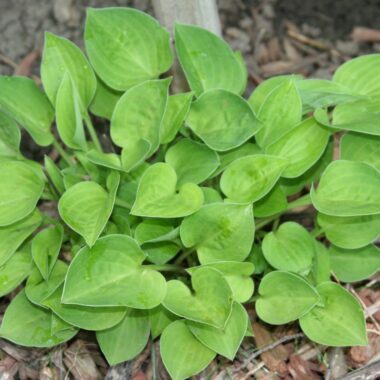 Battle Star Hosta – heart shaped, blue green leaves are somewhat shiny and framed with a gold margin that has a little waviness to it. 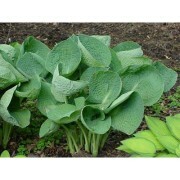 Great substance with slight cupping and Lavender flowers in midsummer.